One of my friends upgraded his TV. I got his old one. This is great because I've been looking for a cheap, 2nd Sony Trinitron. We are also converting a tiny room in our attic into a game room, this TV is going to be the main screen in there. Also this will allow me to hook up several of the systems which don't really fit in our current setup. Did I mention this TV was free? You should try system linking your consoles. The only console this is system linkable that I have two of right now is the PS2. And I don't have two copies of any game for it. Any good ideas for PS2 game I should get 2 of? I found a list of LAN PS2 games and i.Link PS2 games on Wikipedia. Not mentioned on the i.Link list is Gran Turismo Concept. I know that has i.Link support. I've never linked systems together before, but I plan to. 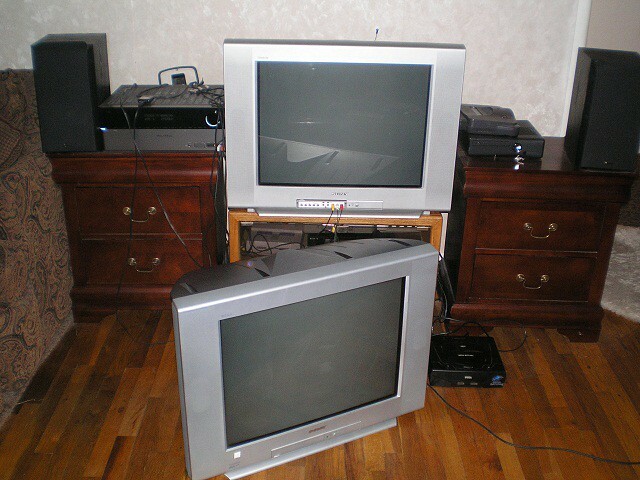 Those old flat screen TVs are the best! Same Sony I used for years. I loved it. If I had the space, I'd pick up one of the 36-inch widescreen HD models just for use with my older systems. My current apartment doesn't allow for such luxuries though. Another small score, super excited about this batch. Comix Zone and TMNT HH are awesome!! 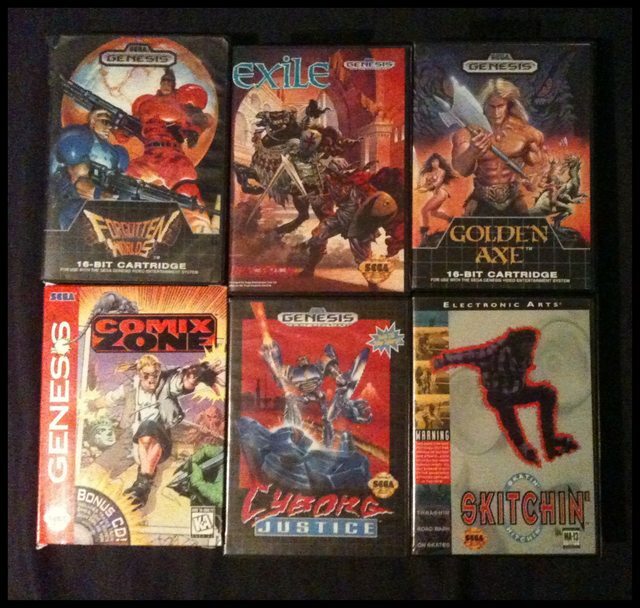 Nice Genesis games! 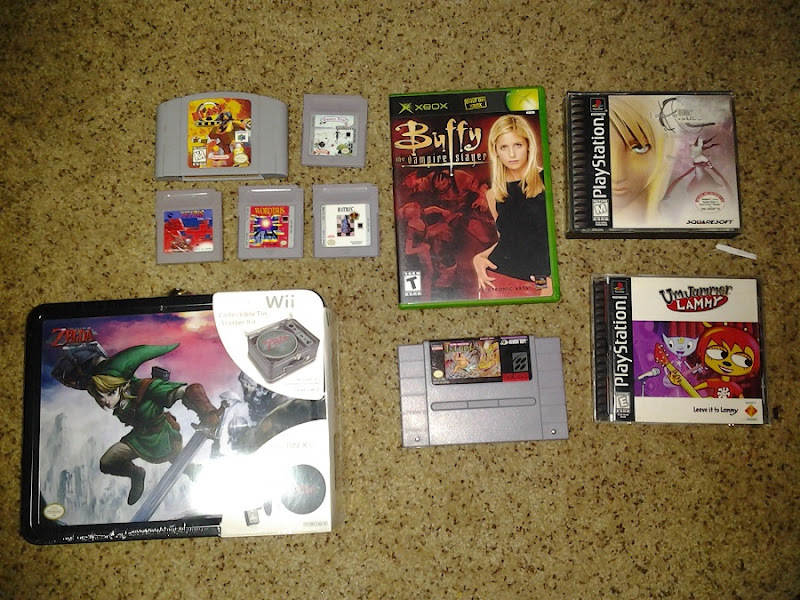 Parasite Eve is another dupe for me but the price was right. The Zelda thing is basically the size of a lunchbox and you can store some Wii stuff in it. I'm loving that Parasite Eve you got there! I'm loving that Sarah Michelle Gellar! I also got Wipeout Pure for €9.95 about a week ago, also new. The PSP is quickly becoming one of my favorite handheld platforms. 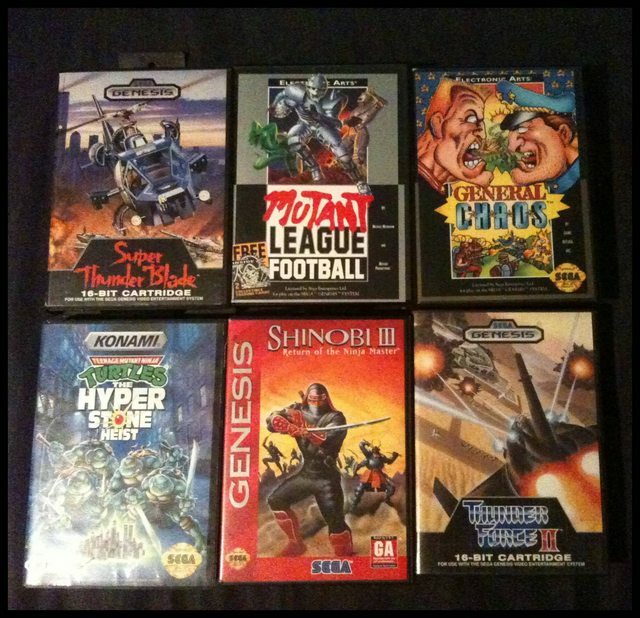 A lot of great games, and all affordable, it seems. Locking due to length of the thread! Continue to part 2!